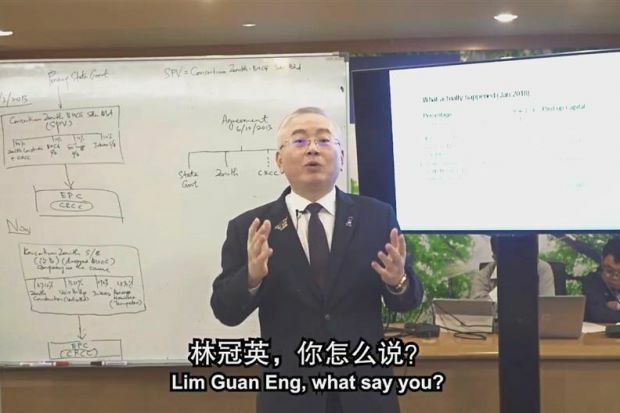 In-depth query: A screen grab of the video where﻿ Dr Wee﻿ demanded explanations over the controversial Penang undersea tunnel. Dr Wee, is trained as a civil engineer has a Master’s in traffic engineering and a PhD in transportation planning, believed to have worked as an Environmental Impact Assessment and Traffic Impact Assessment consultant for more than a decade. He is currently a minister in the Prime Minister’s Department. PETALING JAYA: Datuk Seri Dr Wee Ka Siong threw hard-hitting questions at the Penang government, demanding an explanation for the controversial undersea tunnel project. The MCA deputy president raised major concerns in videos uploaded in two parts to MCA’s YouTube channel. He zeroed in on the changes in the paid-up capital of a special purpose vehicle (SPV) and how two Chinese construction giants have “disappeared” from the SPV shareholding. He also touched on the state government’s “agreement” with China Railway Construction Corpo­ration Ltd (CRCC) and Penang’s insistence that no money was paid for the project. In the videos, also uploaded on Dr Wee’s Facebook page, the Minister in the Prime Minister’s Department had a whiteboard to his left showing the changes in the shareholding while a television screen to his right displayed various documents. Dr Wee wanted Penang Chief Minister Lim Guan Eng to clarify why the SPV Consortium Zenith Construc­tion Sdn Bhd’s paid-up capital was reduced from RM4.6bil to RM70.5mil. He said while Beijing Urban Construction Group (BUCG) was no longer a shareholder in the SPV, CRCC was never in the picture. Dr Wee said back in March 4, 2013, the state government’s official newsletter Buletin Mutiara published an article quoting state secretary Datuk Seri Farizan Darus as saying the SPV had a paid-up capital of RM4.6bil, with Zenith Construction Sdn Bhd and CRCC jointly holding a 70% stake in it. “We are in great shock because just days ago, CRCC went on record to deny ever being a shareholder and developer of the undersea tunnel SPV. “Without the participation of CRCC and BUCG, the actual capital of the other component SPV back then is only RM8.2mil,” said Dr Wee, who is trained as a civil engineer and has a Master’s in traffic engineering and a PhD in transportation planning. He, however, said the SPV had a total paid-up capital of RM70.5mil. Dr Wee added that currently, Zenith Construction has a 47.12% equity in the SPV, Juteras Sdn Bhd (0.75%); Kenanga Nominees (Tempatan) Sdn Bhd (38.92%) and Vertice Bhd (formerly known as Voir Holdings Bhd, 13.21%). He also revealed that Consortium Zenith BUCG Sdn Bhd was only registered on July 5, 2012, one day before the state government invited the consortium to submit a request for proposal (RFP). “Chief Minister, you may argue that they formed the consortium just one day before to make it to the tender. “But bear in mind your state secretary said the consortium was selected based on the financial and technical strength of CRCC and BUCG,” he said, adding that Zenith Construction was only less than three months old when it was then invited to participate in the pre-qualification for the tender. Dr Wee also said that Acknowled­gement of Commitment signed by the state government with CRCC was not a legally binding document. “Where is the stamping of documents as required and which is the Court of Arbitration to arbitrate disputes?” he asked. Dr Wee also questioned Lim’s stand that not a single sen was paid when state exco member Lim Hock Seng replied in the state assembly on March 19 last year that a land swap deal worth RM208mil was identified. “The said land has been developed and sales of properties for the City of Dreams (which is built on the land) are ongoing. Aren’t you aware of that? 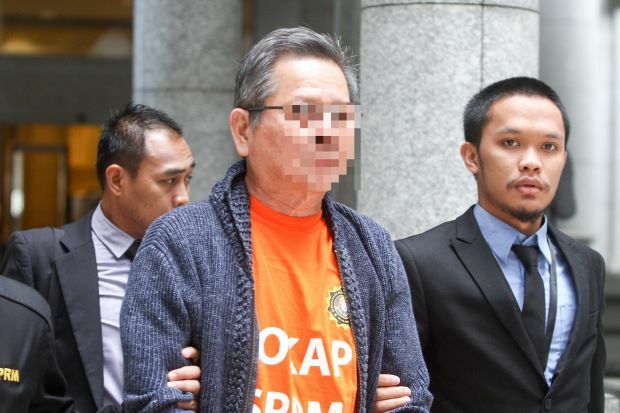 Magistrate Ainna Sherina Saipolamin allowed the 62-year-old "Datuk Seri" to be held in custody until Jan 29. 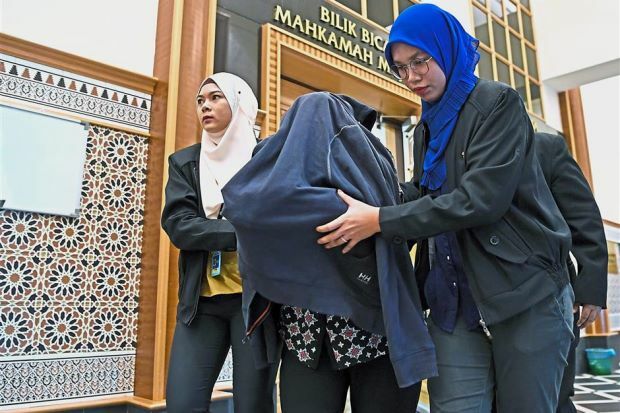 PETALING JAYA: A senior engineering consultant in her 50s is the latest to be detained in connection with the probe over controversies surrounding the Penang undersea tunnel project. The consultant is believed to have forged claim documents for the feasibility studies valued at RM305mil for the mega project of three main roads and an undersea tunnel to the state government, said a source familiar with the Malaysian Anti-Corruption Commission (MACC) investigation. 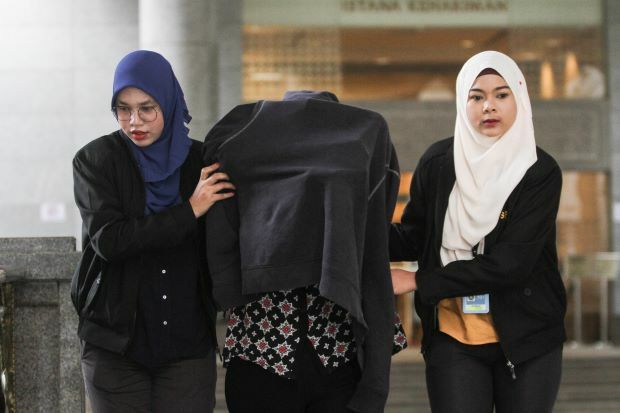 The woman is expected to be remanded at the Putrajaya magistrate’s court today. She was arrested at MACC headquarters in Putrajaya at 6.10pm yesterday after her statement was recorded. “The investigators are trying to determine if other individuals were involved in the preparation of the falsified documents,” the source added. The engineering consultant is the third person to be arrested in MACC’s investigations into the Penang undersea tunnel project. Two high-ranking Datuks of development and construction companies were earlier arrested on Jan 9 before being remanded for six days beginning Jan 10. The remand was then extended for another five days from Jan 15. They were released on MACC bail of RM200,000 each on Jan 19 by the Putrajaya magistrate’s court. On Monday, MACC deputy chief commissioner (operation) Datuk Seri Azam Baki had said that more individuals would be hauled up over the project. The RM6.3bil mega project includes building the 7.2km undersea tunnel connecting Gurney Drive on the island to Bagan Ajam in north Butterworth, 10.53km North Coastal Paired Road from Tanjung Bungah to Teluk Bahang, 5.7km Air Itam-Tun Dr Lim Chong Eu Expressway bypass and the 4.075km Gurney Drive-Tun Dr Lim Chong Eu Expressway bypass. The MACC has since recorded statements from more than 70 people and visited more than 40 premises in the course of their investigation. PETALING JAYA: Although Penang Chief Minister Lim Guan Eng has reiterated that not a single sen was paid for the feasibility study of the undersea tunnel, the fact remained that it was paid in kind, said Datuk Seri Dr Wee Ka Siong. Dr Wee, who is MCA deputy president, said the crux of the problem was that the state government had no contractual nexus with the contractor. “The state government can only hold the special purpose vehicle (SPV) liable, not the contractor. “Don’t confuse the people with the SPV and the contractor. SPV means you can hold it liable. 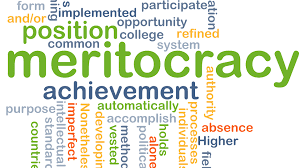 “If a contractor is subsequently awarded by the SPV, that’s between the contractor and the SPV. “If the SPV fails to pay the contractor, the contractor has no obligations (to construct),” he said. He added that he had conducted a comprehensive research and he knew what happened. “I welcome this project, but it must be carried out in a proper manner. This is what I want. “Don’t blame others. If at all you need to blame somebody, it is your SPV that you appointed. https://www.youtube.com/watch?v=6B9o1baUaP8 https://youtu.be/VL98vA4I2gE Stalled ambition: A view of the Gurney Drive s.